PeriFresh is a mild rinse-free perineal skin cleanser designed for incontinence care. PeriFresh’s non-drying formula nourishes with aloe vera, leaving skin clean and healthy. 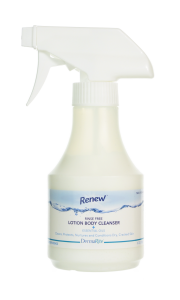 More convenient than conventional soap and water, it cleans and deodorizes with a light fresh fragrance.